Visiting the official website of the U.S. Social Security Administration website, I found out that there were great information available for people who are looking to find social security benefits data. Below is what it says here. 2. Fill out the Disability Benefit Application. 3. Answer the questions on the Adult Disability Report. 4. Mail or take the documents we ask for to your Social Security office. Reagarding all these, it is still best to talk to an official social security representative. In the U.S., disability benefits get paid through two existing programs mainly, the Social Security disability insurance program and the Supplemental Security Income (SSI) program. In Canada as well as in other countries like U.K., Ireland, Australia and India, they also have different existing programs. I strongly suggest to go visit your respective social security website to find out more information. In the meantime, I want to let you know that finding this particular post discussion, rest assured that I will be discussing other information from other countries as well as those that I have mentioned above. This entry was posted in Benefits, eServices, Hotline, SS Other Countries. Bookmark the permalink. I want to apply for social security retirement benefits. Do I have to apply in person? If so, is there an office in Los Angeles, California? What documents do I need? Please disregard. 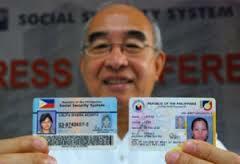 The inquiry was for benefits in the Philippines Social Security. Sorry.